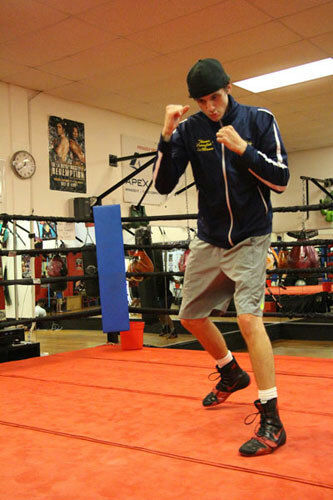 Thomas “Cornflake” LaManna, 20-1, 8 KOs, returns to the ring Friday night at the Claridge Hotel in Atlantic City. The South Jersey welterweight takes on Mexican Engelberto Valenzuela, 10-7, in a 6-round over-the-weight bout on the fourth boxing show promoted by LaManna’s company, Rising Star Promotions. Originally, LaManna was set to headline the card himself. However, a sudden opportunity presented itself and LaManna pulled himself off the Claridge show. So, LaManna did pull out. As a result, stablemate and the co-feature for the card, Anthony “Juice” Young, 12-2, 5 KOs, was elevated to main event status – a first for the Atlantic City fighter. However, LaManna had second thoughts about his decision not to fight on July 22nd. So, LaManna jumped back onto Friday’s card. Doing that is easy when you’re also the promoter. However, LaManna is not a guy who demands the spotlight. 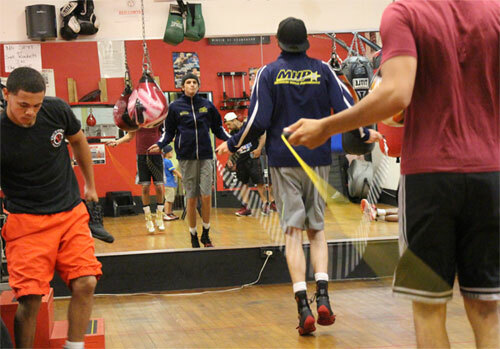 LaManna is not your typical young boxer. Surely he can fight and has aspirations of winning a world title, but he has ambitions outside of the ring as well. Anthony Young has that chance on Friday night. Young faces Eduardo Flores, 23-21-3, 15 KOs, of Ecuador, in an 8-round welterweight bout. 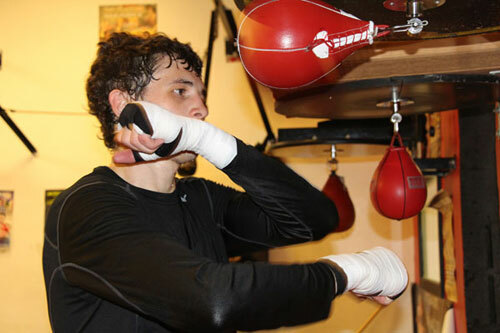 Engelberto Valenzuela, comes to Atlantic City as LaManna’s opponent. However, Cornflake says he needs to stay focused and get the win to keep on track for that un-named September opportunity. So LaManna worked hard for Friday’s fight and sees it as an important part of the preparation for that nameless September foe. Additional motivation has come for LaManna in the form of his friend and stablemate Jason Sosa's recent win of the WBA 130-pound title. "Sosa and me are like brothers," LaManna said. "So when Sosa won that world title, words can’t even describe the emotions (I felt). He only had three amateur fights. He’s only been boxing seven, eight years. That just goes to show that anything is possible. He was in the gym the next day. He was there motivating us. He’s always been like a big brother to me. Now he’s somebody I look up to. He’s a world champion. It makes me work harder, without a doubt. I can’t wait until Sosa gets his belt and brings it in. When that happens, I’m calling out King Kong. I don’t give a hell. It definitely makes us all work harder." But for now, LaManna will stay focused on Friday's meeting with Valenzuela. “Engleberto is number one on my list right now. A fight is a fight," LaManna said, before switching back into promoter mode. Smith takes on Cameron Cain of Indiana, who also makes his debut. Another bout on the card is a heavyweight rematch between two locals. 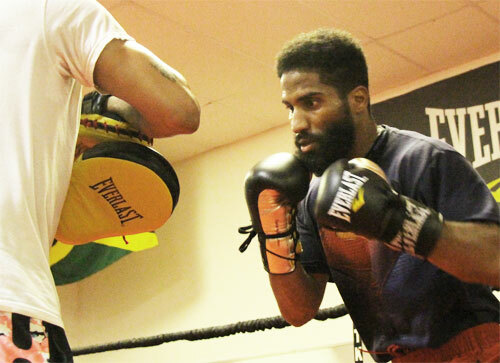 Philly’s Dante Selby, 2-1-1, beat Brick, NJ’s Daniel Pasicolla, 7-1-1, back in 2013. They’ll do it again on Friday. Deptford, NJ bantamweight Christian Carto, 1-0, 1 KO, makes his second start as a pro. 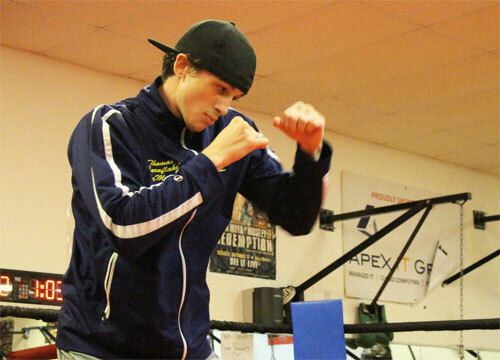 The 19-year old who trains in South Philly, faces debuting Christopher Nelson of Indiana. A total of nine bouts are scheduled for Friday night. Friday’s card sounds like mission accomplished. LaManna appears to plan at least a few moves ahead. Next up is graduation day at the Claridge, and if all goes well, it’s on to that big fight in September.